Kaper has been appointed to handle a six-figure campaign by Bombardier, the premium ale brand from Wells & Young's. Kaper will aim to raise Bombardier’s profile through a campaign featuring comedian Rik Mayall. 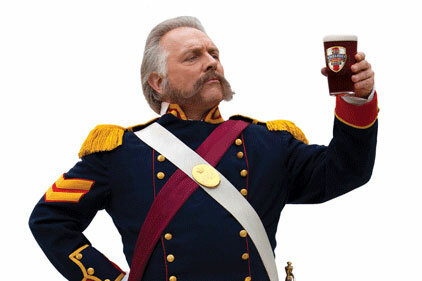 He will star as The Bombardier, a character designed to personify the ‘English, ever reliable and damn tasty’ beer in a new television advert, where he will lead the English in a historical battle. The strapline: ‘Bombardier – Bang on’ will accompany the ad. The agency will manage an integrated PR campaign that looks to engage in traditional publicity, social media, experiential events and video content. Bombardier’s hire of Kaper is part of a seven-figure marketing campaign that is the brewery’s largest-ever investment in PR. The TV advert will be the brand's first since 2005. Kaper will work in conjunction with Karmarama, a creative agency, and Kream, a production agency, which have won advertising and content briefs with the brand. Launching in early May, the campaign aims to extend the sales peak that Bombardier traditionally receives around St George’s Day, which is celebrated on 23 April.